Birmingham, AL has marked its history as a producer of iron and steel. The 21st century has showcased Birmingham as workable, strong and resilient like these metals. To enumerate, Railroad Park, Regions Field, Rotary Trail, Google Data Center, Amtrak and Greyhound Intermodal Station, A. G. Gaston Motel, Pizitz Building, The Lyric and Uber demonstrates that Birmingham continues on as The Magic City. Yes, Birmingham is viable and has tenacity. Lykethia, CEO of Pierce, CPA & Associates LLC, has joined this economic activity. She is honored to work with people of the City of Birmingham and surrounding areas. She knows city activity starts with people and believes we grow together. Lykethia has a history of volunteerism within Birmingham. She has served as an United Way of Central Alabama, Inc. (UWCA) tax advisor and income tax return preparer. 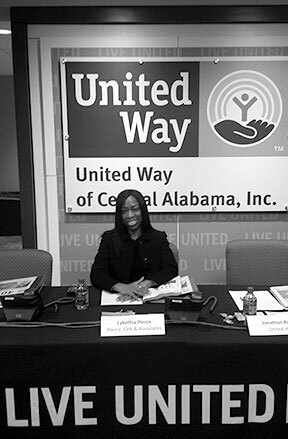 As a panelist on UWCA’s free tax helplines at Alabama’s 13, WVTM 13 News and ABC 33/40 she added to callers’ knowledge of tax laws. Judy Allen, Tax Assistance Coordinator, expressed, “Lykethia demonstrates a sincere interest in customers. It is easy to see that Lykethia loves to learn about taxes and helping people better understand their tax situation.” Further, Lykethia is a former ambassador of the Birmingham Business Alliance and the Birmingham Venture Club (BVC). In March 2015, she was featured in BVC’s newsletter for an ambassador spotlight. The article mentioned “Lykethia is a great volunteer who uses her time to help BVC.” Actually, she welcomes opportunities to be of service. 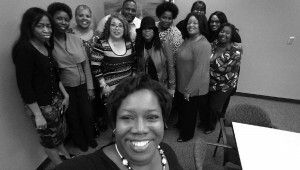 Lykethia regularly speaks on accounting and business topics within the community. She has developed a program that includes insight on Business Structures & Strategies, Counting the Cost Leads To Setting Better Prices, Taxes & Your Business and Financial & Other Tools for Business Growth. She has shared messages of accounting and business stewardship through several businesses and nonprofit organizations in Birmingham. Also, she presented the topic Reinventing Oneself: A Necessity for Today’s Professional to the UAB National Association of Black Accountants Chapter. It is a fact knowledge and training moves our country forward. At Operation Hope discussing Schedule C, Net Profit or Loss from Business. Lykethia partners with her clients and they often declare “that’s my accountant” to others. These words encourage her to be ever more outstanding in customer service and to provide solutions for her clients. Preparation for tomorrow is doing [our] best today (Source H. Jackson Brown, Jr.). With this thought in mind, Lykethia accompanies business owners to meetings and has gone as far as to Atlanta, GA to a Nonprofit Resource Fair in order to support her client. Going the extra mile has a literal meaning to Lykethia. In effect, teamwork leads to momentum within our economy. Further, Lykethia is active on social media and has branded Pierce, CPA & Associates LLC with the username @AuthenticCPA. On social media, her company’s voice sounds like compliance, client-success, customer care and community. A few of her original hashtags are as follows: Tax Tiding, Our Tax Alert, Tax Grill, Book Keep It, Ask Authentic CPA, Today’s Biz Up, Biz Tip For Us, and Today’s Fortify You. A few accounting industry leaders (e.g., @AICPA, @taxgirl, @CariWestonCPA) have noticed her work and joined her on social media. In fact, @AuthenticCPA is listed as no. 16 on Forbes’s compilation of “The 100 Must-Follow Tax Twitter Feeds In 2016.” Lykethia is delighted to be an educator within the accounting industry. Lykethia enjoys being a certified public accountant and customer service is her passion. “We listen” and “maintain and respect your craft” are two of her company’s value propositions. She looks forward to working with people throughout the country.